The country of Costa Rica has a total of 112 volcanoes, which are all part of the Pacific Rim of Fire. Of these 112, only 7 are considered active. The eruptions from the volcanoes have contributed to the very fertile soil around the country. However, when these natural disasters do happen, they can be quite destructive and have wiped towns off the map. The volcanoes’ magma is thick and viscous, and this causes an immense amount of gas to come out while the magma explodes. They are definitely something to take into consideration for people who are looking to move to Costa Rica, whether they love geology or are afraid of natural disasters. 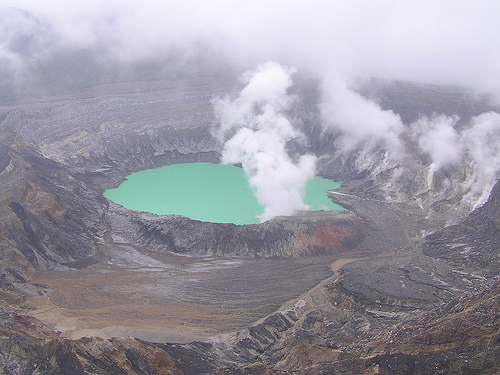 Poas is located in central Costa Rica, and there have been 39 eruptions since 1828. Its height is 2,708 meters (8,885 feet). It is most famous for its crater lakes, Laguna Caliente and Lake Botos. Laguna Caliente is one of the most acidic lakes on earth, and hardly anything can live in its water. This volcano last erupted in 2009. Its eruptions cause landslides, as well as geyser-like explosions from the lake water. 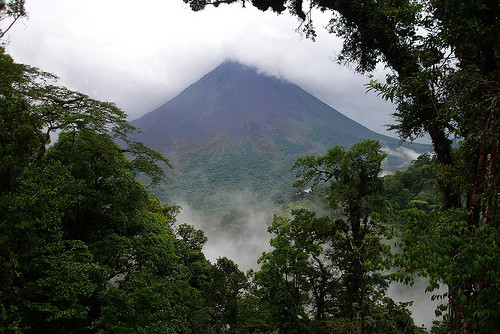 Arenal is the most active volcano in Costa Rica, located in the north west of the country. It is at least 1,633 meters (5,358 feet) in height, and is a relatively young volcano. It used to be dormant for hundreds of years, until it started again in 1968. Since then, it has been continually active, and people can watch a light show from the eruptions almost every night. It is an important watershed for the Arenal Lake Resovoir, where the water is used for hydroelectric power. Irazu is the highest volcano of Costa Rica, standing at 3,432 meters (11,260 feet). It is situated close to the city of Cartago, in the Cordillera Central. Its eruptions have been very serious in the past. 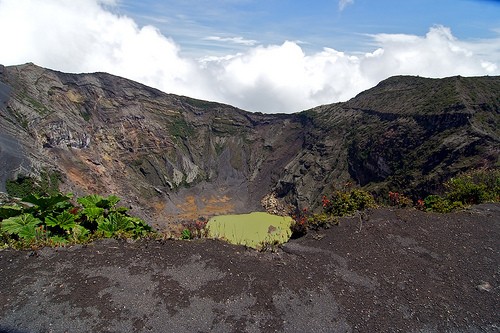 The summit of Irazu consists of several craters, such as Diego de la Hiya, which is green in color. Because of the geology, the area around the volcano is typically very cloudy. On clear days, it is possible for people to see both oceans while standing at Irazu’s peak. Its last eruption was in 1994. 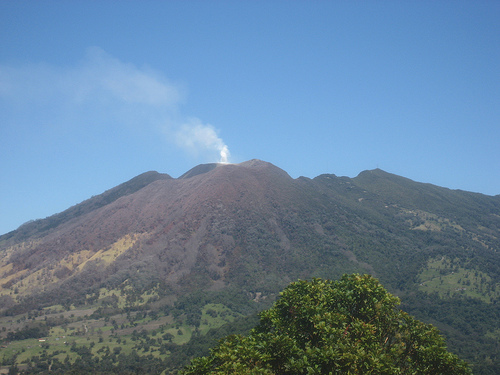 Turrialba is located in the eastern part of the Cordiella Central, and stands at 3,328 meters (10,919 feet). It has three craters in its premises. It was responsible for several catastrophic eruptions in the 18th and 19th centuries, and scientists are expecting another huge eruption sometime in the future.